The naval combat and adventure game Abandon Ship [Steam, Official Site] has been delayed. Sad, but if we get a great game out of it I'm all for it. The developer has released some more footage today too. 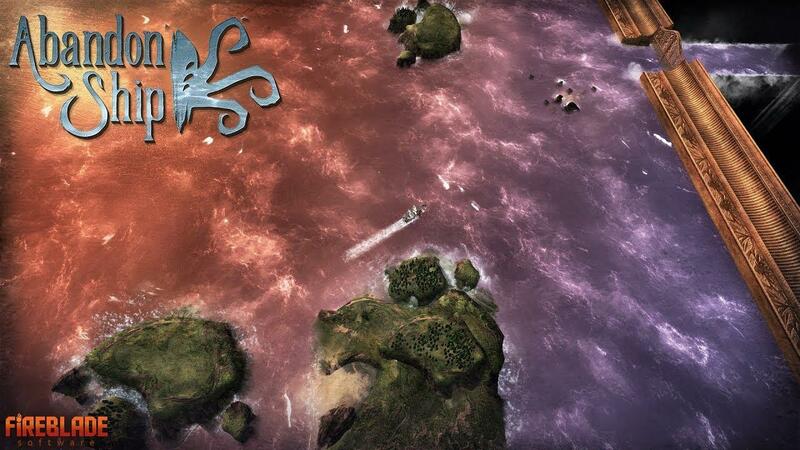 Abandon Ship is a very systems-driven game, which is a fantastic fit for Early Access. We’re really looking forward to getting feedback and balancing the game with our community. We’re committed to delivering an extremely high-quality experience, and to ensuring that even our initial release is as feature-complete and polished as possible. So far, the response from our play-testers has been exceptionally positive, but why stop there? With a little extra time, we can make the game even better. Now, it will come sometime in "Early 2018", but they don't seem to have settled on an exact date just yet. One to firmly keep on your release radar. For those not up to speed on it, the developer told me personally before that it will be coming to Linux. This excited me, because the style of it to look like an old oil painting is amazing. It has to be one of the best looking naval games I've seen in a long time, not just in terms of the incredible graphical style, but the actual combat looks impressive too. They will miss the Christmas window , but that;s the difference between a dev who wants to put out a game they love and care about and a soulless company pushing a game bugs, warts and all just to meet a deadline. The ships look like, well, not ships. Tumblehome is missing, instead they have some weird buildings at the back and front. For that alone I'd get irritated enough not to play it. (And yes, the uniform I'm wearing on my avatar-picture is the 1795 pattern royal navy captains undress uniform). I got a notification it released on Steam today. It is early access and I see a Windows icon only. Ditto, anyone know if it works yet?